When first social media was developed who had ever thought that it will be modern way of connecting to people, it earned enough reputation to be called the young people play area, but now it is the play for us all. It's here and it's not only dominating but is also just powerful, we all have witnessed it getting strong and strong everyday, didn't we? It's power to turn everyone into journalist has contributed to it to become the new digital marketing fundamental platform and with all the technology we can't deny the new modified way of marketing. Why would you just want to have an account to connecting when you can do much than connecting? Why are you creating all the unique content? Why you running out of outfit to wear so that you can post on social media? Have you asked yourself some of these questions? Well l hope you now have the answer however if you don't l am to cover some of the these. Social media is huge:the modern way of hanging after school, work or on holiday or day off, why so because of it's demand of the features that's on it, you can be playing on social media and watch breaking news on the news feeds or any viral content so people go there to connect and look for any interesting content if people are ain't entertained they to pay interest, people repeatedly visit social media because they are entertained. You can be going through the feed and receive a call on social media from your friend therefore you are hanging and connecting on the same organization ain't just wonderful,don't you think? All these are making social media powerful because the organizations are getting repeat visits, and the repeat visits attracts brands, we also know that brands prefer active users and the active users are found on social media. Making a usual account is of no need if you're capable of making a unique because we all know there's money to be made here. Social media is turning people into stars who had thought in the first place, everyone had thought it's a great way to connect as social media developed. But now the is also has the power of making everyone stars because of these everyone is busy creating great content and there's no doubt that it is now over populated if we had to look it back in ten years time however this is not stopping any to become what they want, some are thriving to success using social media, why can you not? There's so many ways success can be achieved you do not even to have blue tick or millions of followers to start your road to success that's why social media is powerful, it's for everyone rich or poor can benefit from using it. BUSINESS - can easily be developed without putting a penny into it, there's so many ways you can monetize your social media and archive success without even spending any money. And this shows also that social media was developed for everyone. PERSONAL DEVELOPMENT- you can easily develop yourself and get the attention from brands and service, this can be having dedications and being active member of social media , posting regularly will help to achieve the audience and being illiterate with the site you're using will cause a negative impact. 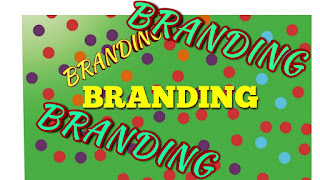 BRANDING - it's true social media gives the power expertise because you working with the same product over and over or service you become an expert and expert they create a unique service or brand to reach out and draw the audience attention into their interest. So social media could kick start your career as a business person or into the marketing agency. INFLUENTIAL - you can easily become a star on social what it takes is a couple of humorous content to target almost everyone on social media. After a long day at work or after a long day with the miss or whatever you might have been doing there's nothing so relaxing to go on social media and catch a laugh or get sent you and have laugh and this what makes people earn fame quick as everyone what a bit of laugh compared to music people have genre preference. 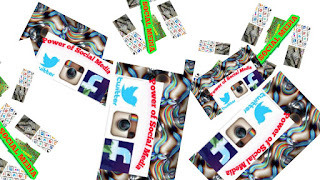 Once you have earned enough fame you will definitely get reward with follower and achieving certain follower is what is called influencing, once you have reached this stage you can easily promote a lot of people businesses and make money for yourself. VIRAL- chat rooms for kids has earned a good reputation after being approved by us of being effective way of connecting to others, since then it has been for everyone else and and a lot of us have created many content and reached globally, those lucky ones have turned to be stars. Social media give opportunity to gain fame regardless religious belief or any community hardships. Profile- the profile is there for everyone to shine;by displaying their best pictures or video, profile is the face of the content especially to those looking to run a business so a relevant profile picture would be idea so that it can quickly attract audience to look at the content.Profile shouldn't be wasted anywhere that need introduction should be filled in and anywhere that need links should be filled with links with benefit of connecting to other sites. EMPIRE-everyone has the opportunity to create an empire of social media so long they from things that hate their business. It's not only the empire but also the money making machine;definitely money we will be brought after the business has blossomed to level where you've to just seat, relax correct any errors. TRAFFIC SOURCE- a lot of people have online diary because everyone is trying to make money at home and some actual websites and using social media to draw the audience has become number one strategy online, this because social media has a lot of active interacting users and potential audience. Most ads they pay more especially if the traffic is coming from Facebook because of active users. Analytics the use of analytics is very power as you will be able to check where the audience is coming from, what time,what region and what age group this all help with self development and can lead into success if you take note of any progression. Engagement- it would have been evil to finish the whole text without mentioning engagement. Engagement is what everyone is expecting when they posted a new content the post without good engagement is a failure in terms of business, engaging is to attract the audience to interact with the post. Engaging boost post popularity so if you post is good enough to gain popularity will anticipate well in all social media and sometimes all you need is to post on platform to gain viral on other platforms and this what is engagement is all about. The social media is here to stay, lets not just take the advantage of technology but lats we all respect it and not abuse, we all need to connect at some point, we use social media to connect in different ways connecting with friends and family connecting with the audience. There are so many ways of connecting through voice call, video call, text;the traditional ways of connecting on social media and the post engagement. We all can increase fan base all social media and also make real friends on all platforms. With social media you are hardly to loose any friends as they will there on the friend list. Social media is giving people the power of knowing people location without even talking to them,maybe it's new way of communicating with friends and family or followers about your location. We are part of the technology now lets not just watch the social media the hard work without any strategic but lets all put effort in building our empire and earn from the hard work. 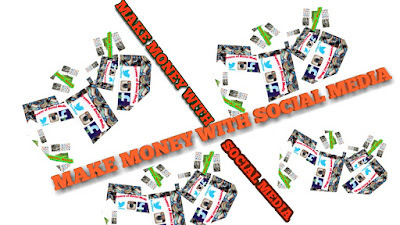 Make money with social mediaMaking money, we all need to know ways of making 💷💰 (money) on social media such as Facebook, Twitter, Instagram, LinkedIn e.t.c or we all probably already know ways of making money;but it's probably we don't put enough effort to enables us to make money. Well today l have a little that can be interesting if you think of making 💷💰 (money) on your spare ⌚(time) e or considering a serious business;and it is about making 💷💰 (money) on social media. Well some of us are still underestimating social media thinking it's only a play area but some other people are really busy creating great content;and building empires of social media, and this means there's people leaving on social media earnings. Branding is to create a unique name that stands out from the crowd, a brand is the face of the the business, creating a unique brand is a key to success in promoting your products. Well branding on social media isn't easy as it sounds;there's high competition across all platforms and once people notice your brand weekness to other:they quickly spread the word to others;lets remember here social media is now one the fundamental of new marketing of making things go viral. Lets not just use social media network to work hard for us on marketing:but we all can promote a quality brand here. Marketing on social media is a great way of advertising making sales increasing customer base,this is achieved by delivering a great service and giving customer a great experience. Marketing is similar to branding;giving a customer a unique service to create network, a great customer base through demostrating a good customer service. Social media marketing requires the marketer to engage with other social communities to result in good reward as you will gain trust and more likely to be a key member of the community as far as you demostate good engagement, this is a great way of marketing.